An Israeli man is finally facing stiff criminal charges and a criminal record after refusing to grant his wife a divorce for more than 20 years. The indictment, filed in a Jerusalem court this week with the backing of the Rabbinate, the religious Jewish authority that oversees divorces, is the first of its kind in what Israeli media have described as one of the country’s longest-running and harshest divorce cases. Named as Meir Gorodetsky, the man has already spent 17 years in jail for refusing his wife, Tzviya Gorodetsky, a “get,” or Jewish divorce. But the nonprofit advocacy group, the Center for Women’s Justice, which represents such cases, says the latest measures against Gorodetsky are too little, too late and part of wider pushback by the ultra-Orthodox-run Rabbinate against those challenging its overwhelming and unbending authority on critical life-cycle matters. In Israel, divorces are granted by the Rabbinate’s rabbinical court system, which views cases through the prism of millennia-old Jewish law. The ruling rabbis have faced widespread criticism in the past for citing Jewish law as a precedent for preventing them from dissolving marriages, even in extreme cases, without the husband’s permission. In many cases, men refuse to grant a “get” out of pride, spite or in an attempt to secure a more favorable divorce settlement. Unlike men in similar situations, the women cannot remarry, and if they do find a way to move on, ensuing children are considered illegitimate and forbidden from marrying under Jewish law. “Basically, this move by the rabbincal court to initiate criminal proceedings against this man appears, on the surface, to be positive for women, but it is more about not accepting the fact that Tzviya Gorodetsky turned to a private court to get her divorce and has now moved on,” said Rachel Stomel, a spokeswoman for the Center for Women’s Justice. Tzviya Gorodetsky tried unsuccessfully for 23 years to obtain a divorce from her husband, adhering to the process of the rabbinical court system. She was ultimately told by the court that “not everything can be solved,” according to the Center for Women’s Justice. In June, however, she turned to a specially convened private court, made up of ultra-Orthodox rabbis operating outside the Rabbinate. They agreed to annul her marriage based on Jewish legal texts, but the ruling has not been recognized by the Rabbinate. In recent years, the Rabbinate has been accused of being outdated and inflexible, especially on the issue of recalcitrant husbands but also in failing to recognize conversion to Judaism by other Jewish streams and refusing to marry people whose Jewish heritage is in doubt. Its monopoly on these matters has been challenged, too, with the appearance of alternative bodies to facilitate Jewish marriages, conversions and, now, divorces. “After Tzviya received the ruling saying she is a free woman, she asked the Rabbinate to close her file. She told them she was no longer interested in going to court. She wanted to move on with her life,” said Stomer. But she was informed this week that criminal charges had been filed against her husband and that her case could no longer be dropped. In recent years, the Rabbinate has agreed to apply some pressure to those who refuse to grant a divorce, notably through fines, removal of assets and jail sentences. Instructions issued by the state prosecutor in 2016 paved the way for criminal charges to be brought against those who refuse a divorce. This is the first time the Rabbinate has decided to use this process. 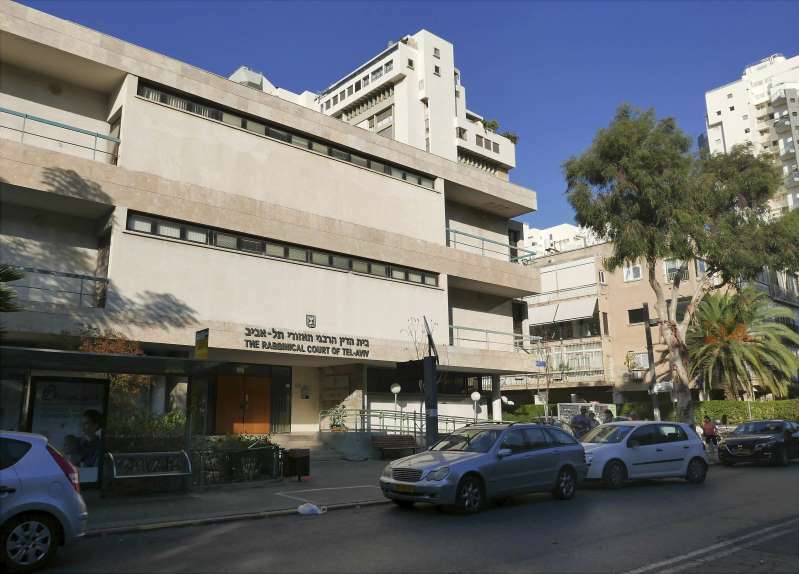 “The rabbinical court system has so far used imprisonment as a means of pressuring ‘get’ refusers and now criminal proceedings are being added to highlight that this is a serious criminal offense,” said the statement.